If you’ve had the same opener for many years and yet you never had it go through the proper maintenance procedures, the constant use its gone through has most likely been taking a toll. Various parts of your opener can get worn down over time. 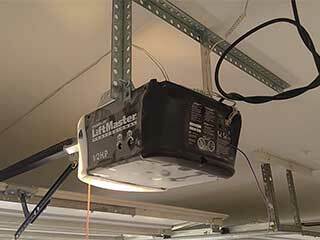 If you’ve noticed your garage door has a hard time opening, or tends to make a lot of noise while it does, it may be an indication that it’s time to have it tended to. Such a service can be very important, because letting your door continue to operate without it can make certain existing situations grow worse or lead to new more problematic issues that may compromise the safety of both your family and your property. Don’t let problems get any worse! We're beyond well versed in all of the most popular models of garage door openers, and our professional technicians are extremely knowledgeable in handling every possible malfunction, whether that means repairing a few broken parts or having the entire unit replaced. If your remote or control pad is causing the issue, we can handle that too! Should it be necessary to take out your old opener and install a new one, or if you just want to upgrade the existing unit, we’d be happy to help! Our experts can assist you in choosing the model that will best suit your home, taking such factors as door weight and weather conditions into consideration. Our professional technicians will then set about performing the necessary installation as quickly as possible, so that the process won't eat up the majority of your day. There’s no reason to deal with a system that’s become a hassle and forces you to work around it every day! Call our Garage Door Repair Los Angeles team today and let us get your opener back to its full operating potential.